Thanks to the presenters willingness and energy to present workshops, and panels at the fourth annual Women's Empowerment Conference. The organizations, and speakers (first name) are in alphabetical order below along with their Twitter and/or Instagram handles. Amanda Bennett joined Jane’s Due Process as the Client Services Manager in July 2016. Prior to joining Jane’s Due Process, Amanda worked as the Intake Hotline Coordinator for Fund Texas Choice, a practical assistance abortion fund. She also interned with NARAL Pro-Choice Texas during the 2015 legislative session. In May 2016, she earned her Masters in Global Policy Studies from the Lyndon B. Johnson School of Public Affairs at the University of Texas at Austin and her B.A. in 2014 from the University of Chicago. Amhiga Hispana is a non-profit organization in Austin, Texas, and established 2014. The organizations aims to empower women to love their countries but be involved civically and emotionally with their current communities. Amhiga Hispana offers empowerment and development activities to develop civically, emotionally, spiritually, physically, financially, intellectually, and socially in Austin, with peers that talk and look just like you. 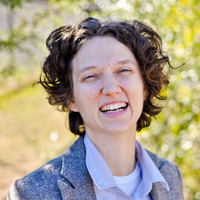 Amy Stansbury is the Editor-In-Chief of the Austin EcoNetwork, a local environmental news site. Under her direction, the Austin EcoNetwork recently launched its Civics 101 initiative, which is designed to teach all Austinites (especially millennials) how to get more involved in their local community. Amy believes that a democracy only works when everyone participates, and she tries to incorporate that belief into everything that she does. When she is not running the Austin EcoNetwork, Amy also is a cohost of the weekly Shades of Green Radio Show on KOOP 91.7. Amy is always happy to talk with anyone about civic engagement, youth empowerment, local government, and the environment, so feel free to reach out! Founded in 2003, Annie’s List was named for Dr. Annie Webb Blanton, the first woman elected to statewide office in Texas in her own right. 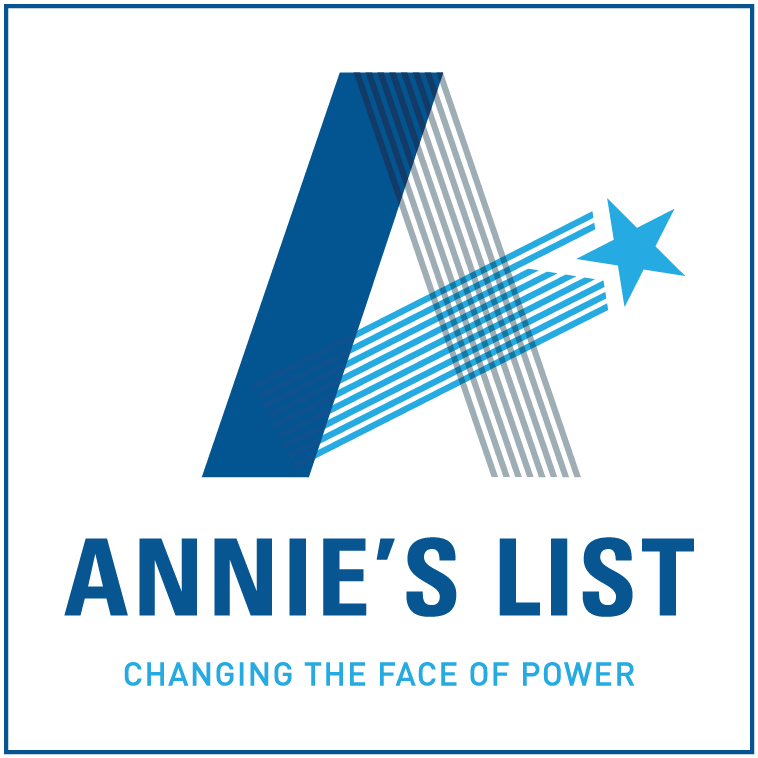 The goal of Annie's List is to achieve equality for women by changing the face of power in Texas politics. The Austin EcoNetwork (AEN) is a network of people interested in information, events, and resources related to Austin and the environment. AEN is known as an effective way to drive turn-out at events, drum up volunteers, find quality employees for green jobs, mobilize people to contact elected officials, boost enrollment at educational seminars and help people make conscious purchasing choices. The Austin EcoNetwork began in 2003 as a listserv, and became a website in 2009 and newsletter in 2010. Green businesses, organizations and government departments dedicated to advancing sustainability are featured in the EcoDirectories and submit content for the EcoCalendar, blogs and EcoNews. https:/The Bridge Collective started out in 2012 as a full-spectrum doula collective with the motto “All Bodies, All Choices,” serving people across the entirety of their reproductive experiences. When HB2 passed in 2013, our motto didn’t change, but TBC shifted focus to our STAND program, providing practical support like transportation, accommodations, childcare and translation for people within 100 miles of Austin seeking an abortion. In 2016 alone the Safe Transportation Access Network & Doulas answered more than 70 calls from people in Central Texas needing help. Additionally, TBC grew from a volunteer driver pool of 2 in 2015, to over 40 as of February 2017, when we expanded our training to San Antonio. Colectiva Cósmica is an art collective that make collage, photography, paintings, workshops, and zines. Cósmica is pushing for a new art movement that creates alternative spaces and platforms for our art. The mission and goal is to create our own opportunities, foster the community we build, and create our own standards. Cósmica works with the knowledge that art and creative processes empower our lives. Counter Balance: ATX strives to create more diverse, equitable, and balanced systems by unifying organizations in order to build a bridge between communities of need, and needed resources. Counter Balance has chosen to strive for the improvement of the quality of life for people pushed in the margins by society, particularly self identifying women of color. We envision, self identifying women of color and their communities, will be informed and equipped with the ability to advocate for themselves and others. Destiny Harris is a member of Youth Rise Texas, a non-profit organization that aids teens whose parents have been incarcerated or deported. She hopes to create spaces for other teens and young adults to express their thoughts and feelings of living in dysfunctional and atypical living situations. Fatima Mann is the co-founder and Executive Director of Counter Balance: ATX, the co-founder of the Austin Justice Coalition, a second year law student at Southern University Law Center in Baton Rouge, Louisiana, and self-identifying woman who loves women, of African Diaspora ancestry, but more importantly a person. Volunteers from the Financial Literacy Coalition of Central Texas have been teaching personal finance classes since 2001. FLCCT's mission is to improve community prosperity by enhancing the knowledge and skills that Central Texans need to improve their financial decision-making. Our vision is to be recognized as a trusted, unbiased and credible source of personal financial information. Hannah Bonner (She/Her) Rev. Hannah Adair Bonner is an ordained in the United Methodist Church, and Curator of The Shout, an arts and justice movement in Houston, Texas. Along with other community members, she has been maintaining daily vigil at the Waller County Jail since Sandra Bland's death there on July 13. Isabel is an illustrator and designer from the south side of San Antonio, Texas. Her influences include cinema, post-punk, comics, hand painted taquería signs, and the Mexican-American life. 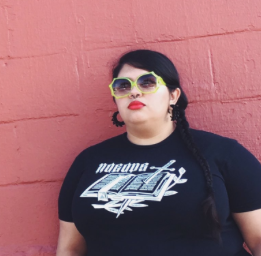 She is a freelance graphic designer, community manager at Desmadre, a bi-cultural digital media startup, and the art director of St. Sucia, an all Latina feminist zine. Isabel enjoys BBC programing and playing her Nintendo. She is currently working on a graphic novel about her father and his death to help children cope with the loss of a parent. Jane’s Due Process, Inc. is a 501(c)(3) nonprofit organization founded in 2001 to ensure legal representation for pregnant minors in Texas. Jane’s Due Process is one of the few organizations in the country dedicated to pregnant teens and is considered a pioneer in delivering legal services to this group. The core of the JDP program is its statewide toll-free legal hotline and lawyer referral service. Kate Lincoln-Goldfinch is an Austin immigration attorney with an interest in social justice legal work beginning at the University of Texas at Austin. As a law student, she decided to pursue a career in immigration law after meeting a young family of detained asylum seekers at the Hutto detention center. After graduation from law school, she was awarded an Equal Justice Works Fellowship and collaborated with the non-profit American Gateways to work with families detained at Hutto. In 2010, she won the Contribution to the Minority Community Award from the Travis County Women Lawyers Association and entered a private immigration practice at Hines & Leigh, PC. Then in 2015 she launched Lincoln-Goldfinch Law, which hires staff with a history of activism and advocacy for immigrant populations. Kate serves as the pro bono liaison for the American Immigration Lawyers Association, serves on the board of Casa Marianella, the Travis County Women Lawyers Association, and the Austin Bar Association’s Solo and Small Firm Section. Lilith Fund, founded in 2001, funds abortion and advocates for change through the movement for reproductive justice, assisting people in Texas in exercising their fundamental right to abortion by removing barriers to access. Lilith operates a mostly volunteer-run hotline in order to provide direct financial assistance to people in the southern half of Texas seeking abortion care. Last year, Lilith Fund provided grants to over 1,300 people who otherwise would not have been able to afford a safe abortion. Lilith Fund also engages in local and statewide movement-building, organizing, and policy advocacy work in order to create systemic change. Linda Natera es un instructor de Yoga bilingüe para Sol108Yoga, una organización sin fines de lucro que promociona salud y bienestar a comunidades pobres en Austin, Texas. Ella nació en Veracruz, México y descubrió su interés en yoga caliente durante una clase en 2013. Linda inmediatamente se dio cuenta que un cambio positivo en su cuerpo, mente, y niveles de energía. En menos de un año de su clase primera, ella decidió que aumentar su entrenamiento de Yoga. Ella es una graduada de Sacred Roots Yoga School en Austin y tiene un licenciado RYT-200 de Yoga Alliance. Linda enseña Hatha Yoga, Yin Yoga, Chair Yoga y Yoga en Español. Ahora, ella es una embajadora para “Accessible Yoga”/ Yoga accesible y un facilitadora de un red mundial se llama Mujeres Que Despiertan creado por Laura Moreno. Su concentración es en la práctica de Yoga para la comunidad y hacer Yoga más accesible por todos. Ella quiere yoga para ser divertido y unir la comunidad. Maribel Falcón is a Tejana from the West Texas desert. She makes art and cultivates culture as a member of the art collective, Cósmica, and seeks to build creative healing spaces with other Latinxs, intellectuals, and artists alike. Mind the bot presenters - Priya Ramamoorthy, Kavya Ramamoorthy, Maanasa Nathan and Smrithi Mahadevan. The four young women experienced first-hand gender discrimination that violated the United States’ enactment of Title IX. Their Title IX research led them to seek help from a local American Association of University Women (AAUW) branch. Years later, this led to the quartet to found a chapter of the AAUW at the University of Texas at Austin. Priya, Kavya, and Maanasa have led interactive workshops based on STEM at WECon for the past three conferences. This year, their workshop combines their interest with STEM and mental health wellness in a way that makes STEM accessible to all girls and young women! Molly Voyles is a Public Policy Manager for the Texas Council on Family Violence (TCFV) and has worked at the coalition for over eight years. In her position at TCFV, she provides technical assistance and training across the state on family violence program policy issues with a focus on supporting survivor-centered services. She also works on systemic efforts to examine the intersection of homelessness and domestic violence and currently serves on the Texas Interagency Council on Homelessness. Additional areas of work include a recent trip with the United States Justice Department to support opening Women’s Shelters in communities across Kosovo. Prior to joining TCFV, Ms. Voyles worked in a variety of roles within domestic violence programs with a primary focus on assisting survivors with accessing stable housing and working with children of survivors of domestic violence. She has worked with survivors in both rural and urban settings and has an understanding of the unique challenges, and solutions, available to these different communities. She attended Indiana University where she received her Bachelor's Degree in Social Work. Natasha I. Hernandez is a nurse and writer from San Antonio, Texas. She is the editor of St. Sucia, an international Latina art and literature periodical. She is also a board member with Worth Repeating on Texas Public Radio. Influenced by San Antonio culture, comic books, sci fi, and feminismo, works include: poetry, comics, photos, and altars. In her free time, she enjoys sharing music as Dj HEAVYFLOW. She is currently working on her first poetry collection, and a novella in vignettes about San Antonio love stories, which will be released this year. Naya Armendarez Jones, PhD, CRM is an ecstatic facilitator, meditation guide, and food justice advocate. A long-time meditator, she started guiding meditation in 2008. 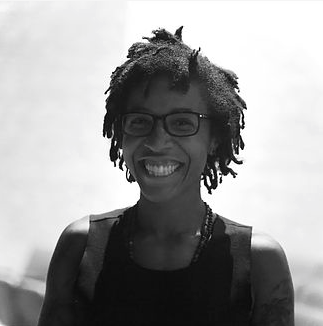 She is founder of RootWork, a private holistic practice with specific programs designed for/with Black women, queer/people of color, and activist scholars. Naya is co-founder and Managing Director of Food for Black Thought, an action education initiative and consultancy. Naya holds a PhD in Geography from the University of Texas-Austin. She's trained in Reiki, trauma-informed yoga therapy, and other healing paths. Naya is passionate about revolutionary, joy-full self-care. Onward! Somos una organización de base comunitaria, conformada por muejers Trans para personas Trans (Transexuales, Transgénero e Intersex) y nuestras aliadas, mantenemos nuestro enfoque de trabajo para la visibilidad y elegibilidad los derechos humanos y el bienestar de nuestra comunidad, mediante el empoderamiento, la organización comunitaria que permita fomentar una incidencia política en equidad e igualdad. Out Youth serves the Central Texas LGBTQ+ (lesbian/gay/bisexual, transgender, queer and questioning) youth and their allies with programs and services to ensure these promising young people develop into happy, healthy, successful adults. Founded in 1990, Out Youth has grown and changed over the years, but we’ve always retained our most important facet – providing a safe space for LGBTQ+ youth to come together, receive support, and make friends who understand who they are. Roxana Menchaca is the Client Intake Specialist for Lincoln-Goldfinch Law. She is the proud daughter of undocumented immigrants and has a mixed status household. In February 2012, she began her journey as a community organizer and activist with a student organization called Minority Affairs Council (MAC) and worked with undocumented youth organizations at a local, state, and national level. She has collaborated with a number of immigrant rights organizations in the state of Texas and aims to empower immigrant voices. Sarah Kapostasy, MA, LPC, is currently the Clinical Director of Out Youth Austin, directing clinical services including group, individual, and family counseling for LGBTQ+ youth ages 12 – 23. Sarah is also the founder of Sarah Kapostasy Consulting. She provides education and training to a variety of professionals, particularly within the field of public health, specifically on topics related to gender and sexual diversity. Sarah is also the co-chair of the mental health and social services workgroup for the Central Texas Transgender Health Coalition, which will be hosting a conference in September of 2017. Shane Whalley, LMSW, is a social justice educator and consultant. Ze facilitates on lesbian, gay, bisexual, transgender, and queer (LGBTQ) identities, as well as on sexism, on the concepts of power, privilege and oppression, and cultural humility. Shane received hir’s Master’s degree in Social Work at UT and is a Licensed Master of Social Work (LMSW). Shane has been an Adjunct Faculty member at the School of Social Work since 2003 and has taught classes on LGBTQIA identities and social justice frameworks. Shane is the 2017 recipient of the UT School of Social Work Alum of the year and former recipient of Texas Exes Teaching Excellence award. Shane was the Education Coordinator for the Gender and Sexuality Center at UT for seven years and has worked as a psychotherapist in several non-profits in Austin, working mostly with LGBTQIA clients. St.Sucia is San Antonio based zine run by Isabel Ann Castro, and Natasha Hernandez. The goal is to share our stories, including the ones from mujeres who don’t consider themselves writers, artists, or poets. We want to share the stories we don’t tell, but other mujeres need to hear. We want to encourage other mujeres to express themselves. We are a space for gente who identify as mujer, in any way they choose to. Mujer is queer, mujer is straight, it’s political, it’s flaca, it’s gordita, it’s a grito, it’s a mouthed curse, it’s a walk alone at night. Mujer is a million things and so are you. Tell us about it. Youth Rise Texas is dedicated to using mentorship and multi-generational organizing to develop the leadership of youth who are directly impacted by parental incarceration, immigrant detention, and deportation. Through popular education, mentorship, community organizing, and creative cultural production, Youth Rise is cultivating the cutting edge of leadership in the struggle against mass incarceration and immigrant criminalization while contributing to the movement for racial and economic justice.